Create a lifetime of memories. Our enchanted country estate can be exclusively yours in 2019. So you’re looking to add a bit of A-list influence to your wedding day? What better way than to ask a celebrity to officiate at your ceremony. Yes, we’re absolutely serious. We’ve discovered that some of the world’s biggest stars have a secret sideline as officiants allowing them to legally perform wedding ceremonies for their friends and family. So, our Woodhall Manor wedding planners have picked their favourite celebrity officiants for you to choose from. As well as acclaimed performances in La La Land and Spiderman, Emma Stone is also something of a matchmaker having set up her publicist Holly Shankoor with director Ruben Fleischer. When the couple decided to tie the knot, it was Emma who stepped in to officiate the ceremony. She’s the head of the world’s most famous family so you’d think Kris Jenner had enough on her plate without also acting as an officiant. Seemingly not! Apparently, Kris has conducted the ceremonies of numerous friends over the years. Most recently, Jenner hosted the wedding of Faye Resnick at her gorgeous LA home and also officiated the ceremony. A bona fide thespian, Sir Ian McKellen’s career has taken in stage and screen performances that have earned him awards and nominations from practically every industry body in existence. 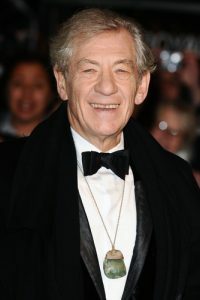 Fresh from his triumph as Gandalf in the Lord of the Rings trilogy, Sir Ian conducted the wedding ceremony of his friend and fellow actor Patrick Stewart when he wed singer Sunny Ozell. Known for her sharp tongue and acerbic wit we think we’d have been slightly terrified to ask the late, great Joan Rivers to officiate at our wedding! However, the couple in question must have been happy with her as due to some legal irregularities, Joan ended up having to officiate on two separate occasions for the lucky couple. Not content with a job that is generally considered to be the most powerful position in the world, former US President Bill Clinton took on a new role as officiant in 2010. The wedding in question was that of political heavyweight Anthony Weiner to Huma Abedin who also happens to be the longtime aide of Clinton’s wife, Hillary. 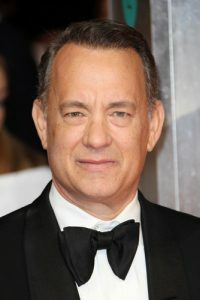 Who wouldn’t want Tom Hanks conducting their wedding ceremony? Apparently, Tom was ordained especially to conduct the wedding ceremony of his friends Ricky Van Veen and Allison Williams. It probably had something to do with his wife Rita who plays Williams’s character’s mum in hit HBO series, Girls. So, if you’re hoping to add a little celebrity to your ceremony, you just need to pick your star and contact their agent. We’re sure they’ll be happy to oblige for a fee! We’re happy to help with every other element of your wedding planning. Give our Woodhall Manor events planners a call and let them fill you with ideas for your wonderful wedding day.  You can also arrange a private tour of our fabulous venue at the same time. Give us a call on 01394 411 288 to find out more about Woodhall Manor.